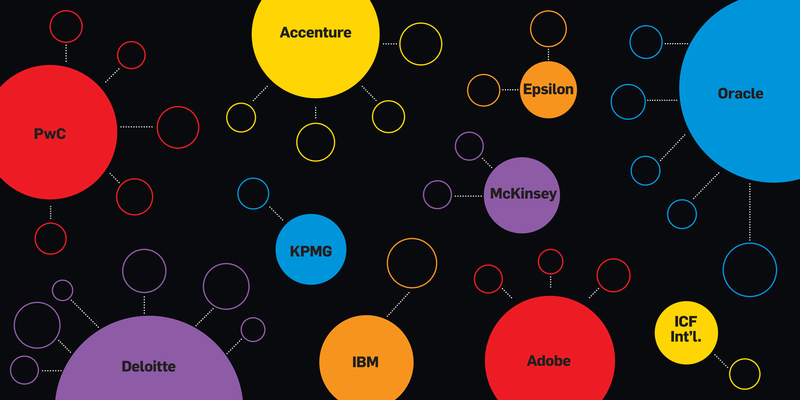 Accenture, Deloitte, IBM, KPMG, McKinsey and PricewaterhouseCoopers are among the most aggressive players. In the waning weeks of 2015, Mike Barrett, president of San Francisco agency Heat, and his partners, John Elder and Steve Stone, faced the biggest decision of their careers as they mulled acquisition options for the shop, which, true to its name, had grown to rank among the hottest independents in the business. Should they join one of the global agency holding companies showing interest? That seemed like a logical move for a group that had built a reputation for creative innovation with high-profile campaigns on behalf of EA Sports’ Madden NFL franchise and a Star Wars: Battlefront reboot en route to being named Adweek’s Breakthrough Agency of the Year. Ultimately, however, Barrett’s team chose to go in a different direction. Along with the usual holding-company suspects, a different breed of suitor was knocking on Heat’s door. The agency was generating interest from big professional services and IT consulting firms, which, in recent years, had begun buying shops to build out their marketing-focused operations and gain a larger slice of the client pie. In February 2016, the 112-person agency joined Deloitte’s expanding digital operations that now employ 15,000 staffers worldwide. In addition to Heat, shops such as Polish agency Digital One, global consultancy Daemon Quest, innovation practice Doblin and user experience (UX) designer Flow have signed up, helping Deloitte Digital boost its global revenue 32 percent year over year to $3.1 billion. For Deloitte, integrating branding and content expertise with core strategic offerings such as financial and technology services, data analytics and customer segmentation makes the company a more valuable partner to current and prospective clients. “Now, you basically have this little package under one roof to help deliver on clients’ ambition to ‘future-proof’ themselves” and take on all challenges in the marketplace, says Andy Main, head of Deloitte Digital. 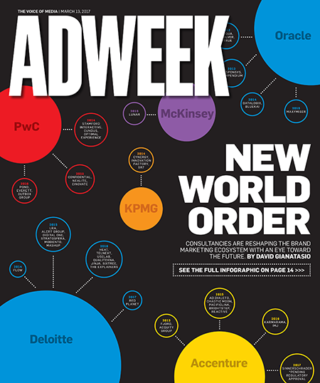 As digital ad spending continues to grow—eMarketer projects a rise to nearly $305 billion in 2019 from $230 billion this year—industry watchers predict the trend of consultancies buying up agencies will only accelerate. Along with a desire by consultancies to tap into clients’ escalating digital marketing budgets, the acquisition trend reflects the ongoing transformation of the business landscape as a whole, and provides a blueprint for how consultancies and agencies will do business moving forward. If Accenture, Deloitte, PwC and others don’t acquire these skills, “they will slowly see their core revenues eroded by others who do,” Langley says. In a sense, experts say, data is in the driver’s seat. Agencies lust after the deep, actionable consumer information collected through decades by the big consultancies. Meanwhile, the Accentures and Deloittes of the world want their data to work harder and generate new revenue streams. These goals intersect for brands seeking to produce campaigns, events and points of contact (digital, in-store and otherwise) that foster one-to-one relationships with customers, sell products quickly and efficiently, and keep buyers coming back for more. Toward that end, Accenture in the past few years has grown its operations to include 18,000 digital and creative professionals worldwide. Notably, last November, Accenture acquired 250-person London creative shop Karmarama in a deal some media outlets estimated north of $60 million. And just last month, the firm made one of its biggest buys yet, adding 500-person German digital shop SinnerSchrader to bolster its capabilities in customer experience design, ecommerce and mobile marketing. So, it’s not just about advertising anymore—although media-driven outreach remains a key component. Other items of interest include the ability to design customer transaction platforms (think: ordering from a client website), coding chops to make the technology involved in such endeavors efficient and reliable, and data mining to generate leads, find prospects and hyper-target or fine-tune campaigns. Experts say old-school ad players should be worried—very worried—because consultancies’ digital marketing units are beginning to win business and produce notable work that clients would previously have assigned to agencies belonging to holding companies. 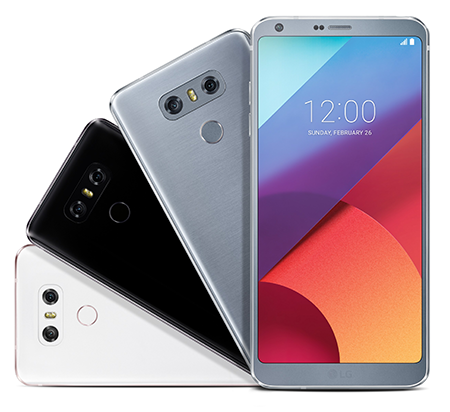 Deloitte agency Heat is in the midst of shooting a global handset launch of the LG G6, which is expected to take on Samsung and iPhone 7. The marketer’s long-standing ties with Deloitte allowed the Heat team to leverage sales data, customer-preference information and competitive assessments to fashion a winning pitch. Heat had no previous relationship with LG, but the marketer’s long-standing ties with Deloitte allowed Barrett’s team to leverage sales data, customer-preference information and competitive assessments to fashion a winning pitch. His team wouldn’t even have been considered without that advantage, he says. Conversely, Deloitte might not have added the work from LG, despite its status as a key client vendor, without bringing the creative energy of Heat to bear. This story first appeared in the March 13, 2017, issue of Adweek magazine. Click here to subscribe.